No. 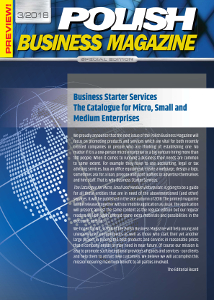 3/2018 Polish Business Magazine (The Catalogue for Micro, Small and Medium Enterprises) will focus on the promotion of services for micro, small and medium enterprises. Its details are still being elaborated.